Eastern Accents Celerie Kemble Sail Celadon Diamonds Pillow, 20"Sq. 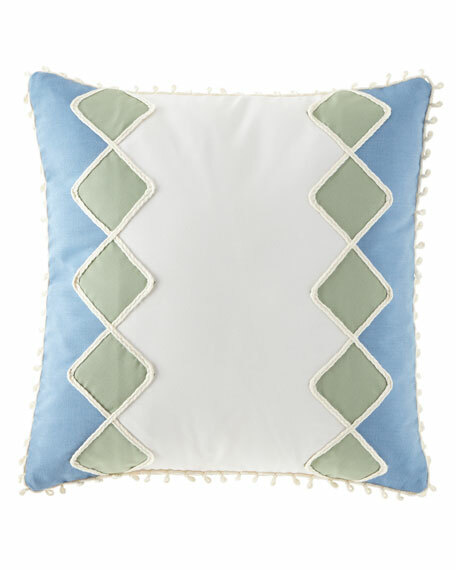 Eastern AccentsCelerie Kemble Sail Celadon Diamonds Pillow, 20"Sq. Handcrafted pillow with fringe and tassel trim. UV treated to resist fading and mildew.